My husband and I brought our house cat with us on vacation for the first time to visit my 90-year-old grandmother in Lavonia, Georgia. He has never been outside before because we live in a condo in St. Pete, Florida, but he finally got to experience the outdoors for the first time. 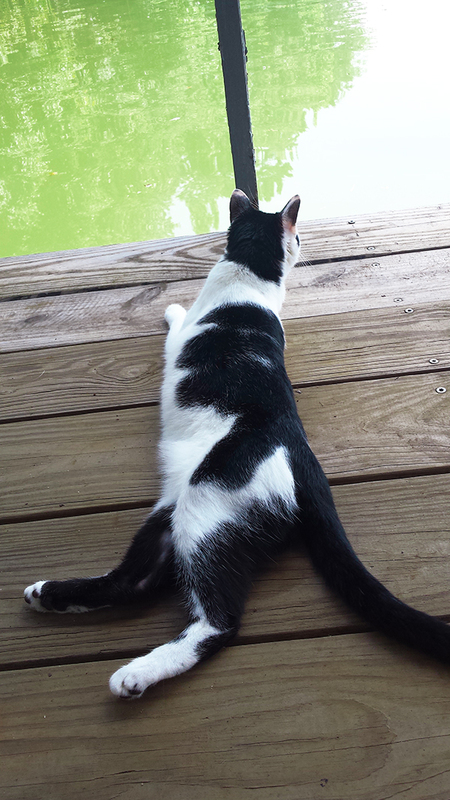 This traveling cat loves to chill by the dock and listen to the birds and fish splashing in the water nearby. He is adorable! I love these spots on his cute face! Have a lovely day, sweetheart! 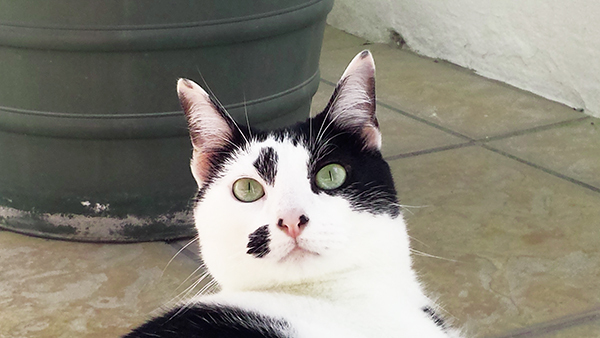 What a beautiful face...those markings are just gorgeous! What a lucky kitty to get to go on vacation. Hooray for a fun outside adventure! Taking my cat on vacation is a dream of mine but we tend to go to caravans. Even if they let us take pets I'd be wary because the door gets left open a lot. What a cute smudgy face! Love that their cat got to go with them on vacation! And what cute markings! She's precious. 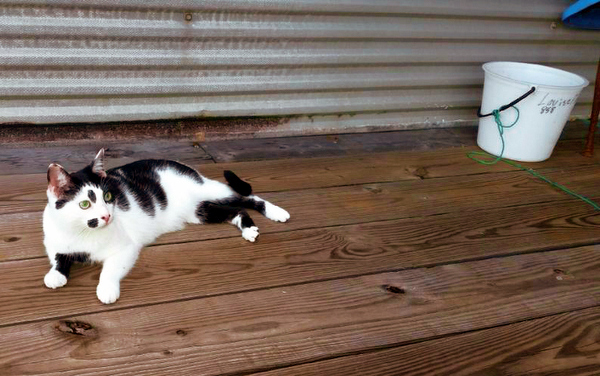 My cat, a tuxedo, has never been outside either. My cat has never been on the outside either and I wouldn't dare take him on vacation because he is too fearful. I bet he's having the time of his life. And what a beauty. Outside is absolutely the BEST! I wish my cats enjoyed travelling, but just to try and put them inside the car and they start howling... a cute cat. Awww - so cute! 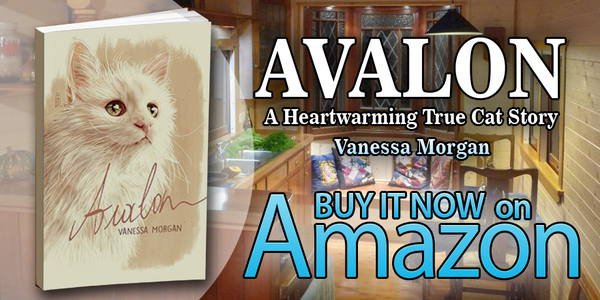 We keep our kitties indoors too, we learned over the years that it is easier on our checkbook and our hearts. Everytime I clean the litter box, however, I think differently :-) I need to try that toilet training thing!! Thanks for the beautiful photos of this gorgeous cat. Beautiful cat! I worry too much to let my cat going outside during vacations. I do it only under my supervision. Quel joli marquage de tête. Il y a comme une contradiction en moi .... quoique...Mes chats vont dehors à leur guise. Et je suis morte de peur lorsque je vois des chats d'intérieur lâchés dehors. gorgeous kitty! At first I thought that was supposed to read "Livonia" because we have a "Livonia, Michigan"...now I learned about "Lavonia, Georgia!" thank you! That must have been such a thrilling vacation for him. A great grandmother and the great outdoors! do you see any fishies in that water? Pretty kitty, I am sure it enjoyed being outside too. Great shots! Thank you for linking up and sharing your post. Have a happy weekend! Wow that kitty can stretch!! Love the black marking on your lovely cat. Have a wonderful weekend. Beautiful cat! Love his markings. My dear departed friend Max lived on the 9th floor in a Manhattan condo. But he got to go on vacation to Jekyll Island, Ga. and experience the great outdoors a few times. What a beautiful kitty. Seems so relaxed! Thanks for sharing at My Flagstaff Home! You can't beat a bit of fresh air and this handsome chap really looks like he's enjoying it!